Edward Grenet (1856-1922) was born in San Antonio; his father was a French merchant who leased part of the Alamo for his dry goods business. A true Texan, Grenet played in the Alamo as a child. From early on he was interested in becoming an artist, and convinced his father to send him to school in New York at the Art Students League in 1878. There he met Robert Onderdonk who was also studying at that time. 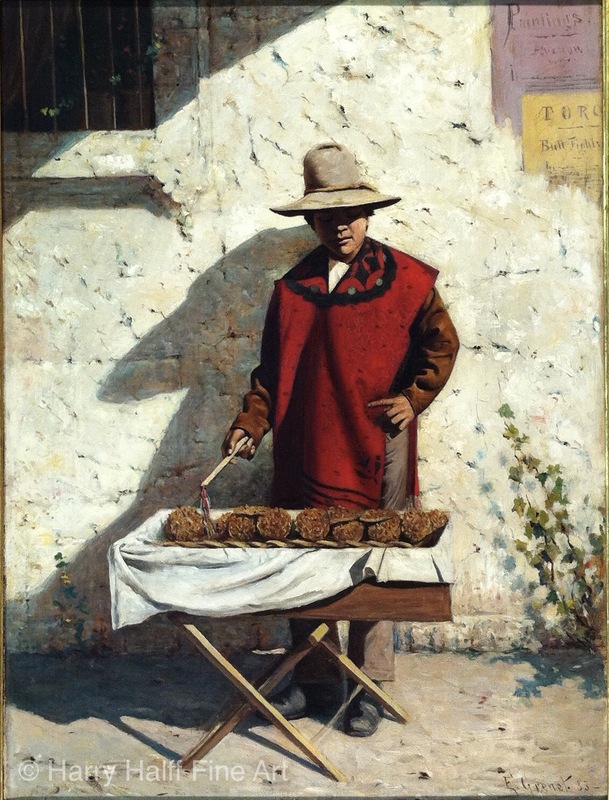 Grenet returned to San Antonio in 1879 and painted portraits, as well as several larger genre subjects which were later exhibited in New York. Subjects included views of the Rose Window at San Jose, jacales and Mexican couples courting. By 1883 he had a studio in the Maverick building close to Robert Onderdonks’. As well as using oils as a medium he drew works on paper with colored pencils in a unique linear method. He moved to Paris in 1885 and found success as a portrait painter there; winning numerous honors. Harry Halff has specialized in fine art for over 30 years. He focuses on 19th century American paintings with an emphasis on Early Texas Art. Over the past three decades Harry has bought and sold paintings by some of the most classic early Texas Artists from Julian Onderdonk to Mary Bonner and even Edward Grenet.